Prospect KY Homes for Sale. 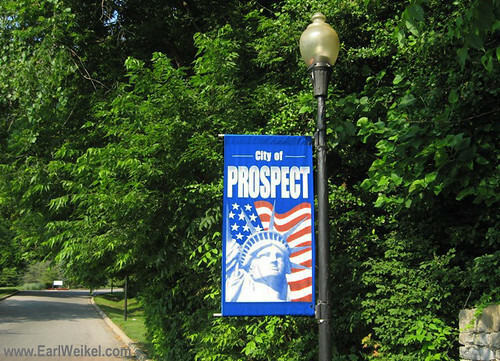 Small town charm, spectacular river views and beautiful rolling countryside are just some of the many reasons people move to Prospect, KY. Located in both Jefferson County and Oldham County, Kentucky, Prospect is home to Harrods Creek Harbor and the Hunting Creek Golf Course, and only minutes away from downtown Louisville. Prospect, KY houses for sale can range in price from $210,000 to $4,500,000, with an average size of homes running 475 to 15,000 sqft. Prospect, KY condos, townhouses and patio homes for sale can range in price from $70,000 to $1,200,000, with an average size of condos running 650 to 6800 sqft.